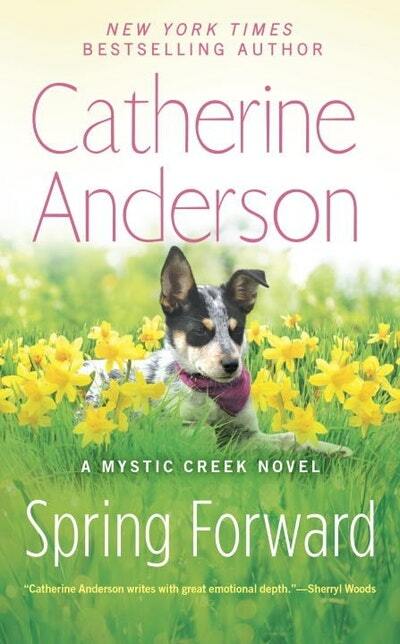 The New York Times bestselling author returns to Mystic Creek, Oregon, with a story about finding an unforgettable love just around the corner . . . When a favorite customer on his delivery route needs a favor, Tanner Richards agrees to help without a second thought. The last thing he expects is to face off against the man’s spitfire granddaughter. Crystal Malloy is near her breaking point. Her beloved grandfather constantly skirts the rules at the retirement center where he’s recovering from surgery. She’s caring for his escape artist dog, even if it means abandoning her salon customers, and she has no time for a romantic attraction to the handsome new stranger. After Tanner’s reassigned to Mystic Creek, Crystal can no longer ignore how much she misjudged the man’s good intentions. She has known too much sorrow to easily open her heart, but she can’t deny that Tanner and his children could gift her with a happiness beyond compare—if only she can forgive herself for the past and accept that she’s deserving of such a love. Love Spring Forward? Subscribe to Read More to find out about similar books.